I wrote this piece for the Dallas Morning News. The story was published on July 6, 1997, and was the first to confirm that Amado Carrillo was dead. 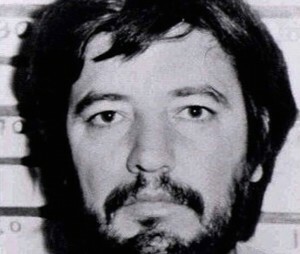 MEXICO CITY – Amado Carrillo Fuentes, who revolutionized Mexico’s narcotics trade and pushed drug-related government corruption to a dangerous new high, died of heart failure during an operation to alter his appearance, a U.S. law enforcement official said Saturday. Mexican authorities examined the body at a funeral home in Sinaloa state on the Pacific Coast and confirmed the death, said the official, who requested anonymity. “The fingerprints came back on this guy, and they’re 99 percent sure it’s him,” the official said. Mr. Carrillo, 41, died of complications after he was anesthetized, the official said, and two doctors who worked on him reportedly have been arrested. The Mexican attorney general’s office declined to comment. The Drug Enforcement Administration describes Mr. Carrillo as Mexico’s top drug trafficker and one of the most powerful organized crime figures in the world. “He is without a doubt the premier godfather of worldwide drug trafficking. They don’t get any bigger than Amado Carrillo Fuentes,” said Phil Jordan, former director of the El Paso Intelligence Center, which is jointly run by the DEA, FBI and other federal agencies. With Mr. Carrillo gone, his chief rivals, the Tijuana-based Arellano Felix gang headed by Benjamin Arellano, will probably gain strength, analysts say. “The Arellanos would be in the catbird seat,” said Peter Lupsha, a U.S. expert on organized crime. Just how damaging Mr. Carrillo’s death will be to his own organization is unclear. It’s a family-run operation, and some experts say another clan member could simply take his place. Others say Mr. Carrillo is a criminal genius who will be hard to replace. Mr. Carrillo had a knack for buying off high-level Mexican police, military and government officials, DEA agents say. One of the most celebrated personalities allegedly on Mr. Carrillo’s payroll was Gen. Jesus Gutierrez Rebollo, then Mexico’s top anti-drug official. The general was arrested in February after the authorities discovered him living in a luxury apartment provided by a Carrillo associate. The case revealed not only the power and reach of Mr. Carrillo, but also the extent to which traffickers had infiltrated Mexican law enforcement and the military. “If Amado Carrillo were ever taken alive and brought to the U.S. – and he decided to talk – he could say a lot about that cancer known as corruption,” Mr. Jordan said. “He was the king of narco-political corruption and had an unparalleled ability to corrupt people. ” Mr. Carrillo got his start in drug trafficking through his uncle, Ernesto Rafael Fonseca Carrillo, described by the DEA as one of the founding fathers of the narcotics trade in Mexico. By the late 1980s, Mr. Carrillo was allegedly transporting multi-ton loads of cocaine across the U.S.-Mexico border. He pioneered the use of aircraft in smuggling and borrowed ideas and techniques from the much more sophisticated Colombian traffickers, DEA agents say. “His strength is further magnified by his close relationship with several high-ranking” Mexican officials, a February 1994 DEA intelligence report said. He was born on Dec. 17, 1955, in Villa Angel Flores in Sinaloa, according to the DEA. His aliases include Juan Carlos Barron Ortiz and Alfonso Paredes, and he has many nicknames – including Cuatro (Four), Cero Cuatro (Zero Four), Comandante Carrillo (Commander Carrillo) and El Senor de los Cielos (Lord of the Heavens). The DEA describes him as being 6 feet tall and weighing 180 to 200 pounds, with brown hair and hazel eyes. His father, Vicente Carrillo Vega, is deceased. His mother, Aurora Fuentes Lopez, and other family members live at a heavily guarded compound about a half mile outside the town of Guamuchilito near Culiacan in the western state of Sinaloa. The walled fortress has a chapel, swimming pool and lush gardens. Mr. Carrillo sometimes visits by helicopter, DEA agents say. Over the past year, Mexican authorities have tried but failed to capture Mr. Carrillo. On Jan. 4, an elite team of soldiers moved in on the drug lord while he at his sister’s wedding in Navolato in Sinaloa. Apparently tipped off, he escaped before the soldiers got there. In an earlier close call, hitmen tried to machine-gun Mr. Carrillo in November 1993 while he was dining at the Bali-Hai restaurant in Mexico City. Five people were killed, but Mr. Carrillo somehow managed to duck under a table and flee. Mr. Carrillo was wanted in both Mexico and the United States. A grand jury in Miami charged Mr. Carrillo on Oct. 11, 1988, with conspiracy to distribute heroin and marijuana. Five years later, on Oct. 6, 1993, a grand jury in Dallas issued a second indictment, this one charging Mr. Carrillo with cocaine trafficking. Then on June 20, 1996, a Miami grand jury charged him with cocaine trafficking and money laundering. “Carrillo Fuentes has the ability to broker large cocaine, marijuana and heroin shipments through Mexico and into the United States. His sphere of influence spans the entire U.S.-Mexico border,” said a May DEA report. Mr. Carrillo allegedly had direct ties with Miguel Rodriguez Orejuela, the jailed boss of Colombia’s Cali drug gang. “Carrillo Fuentes’ freedom of movement, excellent working relationship with Colombian and Mexican traffickers, strong political ties, ability to corrupt police, and his direct link with Miguel Rodriguez Orejuela have led to his rise in power,” the DEA report said. Ciudad Juarez, across the border from El Paso, has been a traditional stronghold for the Carrillo organization. But after alleged trafficker Juan Garcia Abrego was arrested in January 1996 and later convicted of drug charges in Houston, Mr. Carrillo expanded his operations into the Rio Grande Valley, DEA agents say. DEA officials describe Mr. Carrillo’s brother, Vicente, as his chief of operations for the organization. A Dallas grand jury indicted the younger brother on cocaine charges on Oct. 6, 1993. Anti-drug agents allege that he “has been involved in receiving cocaine-laden aircraft from Colombia, overseeing stash sites, and arranging transportation. ” They also say he has purchased large quantities of scrambled radio transmitters, mobile radios and infrared beacons, frequently used by traffickers to illuminate landing strips. DEA agents say that the Carrillo organization employs hundreds of people and owns expansive ranches, planes, homes and businesses. On Friday, rumors began circulating that the king of Mexico’s drug trade had died. His family members in Sinaloa confirmed the reports on Saturday. The family’s version is that Mr. Carrillo died of heart and respiratory failure during an unspecified medical procedure, apparently at a Mexico City hospital Friday morning. Early Saturday morning, a body thought to be that of Mr. Carrillo was taken to the San Martin funeral home in Culiacan. Funeral home employees said the body carried the identification of Antonio Flores Montes, presumably an Amado Carrillo alias. Guadalupe Martinez, a reporter at El Debate newspaper in Culiacan, said wounds on the man’s face appeared to indicate he had undergone plastic surgery to change his appearance. Still, the authorities have been mum, leading some to speculate that Mr. Carrillo may have faked his own death. That idea is not unheard of in Mexico. Ricardo Aguirre Villagomez, named in a 25-count money laundering and drug conspiracy indictment in February, allegedly faked his death in 1993 to avoid jail, U.S. prosecutors said. “He supposedly had died in a traffic accident, but later when the authorities investigated there was nothing to investigate. The body was gone by then, and there was no information,” said Eduardo Valle, a former official at Mexico’s attorney general’s office.